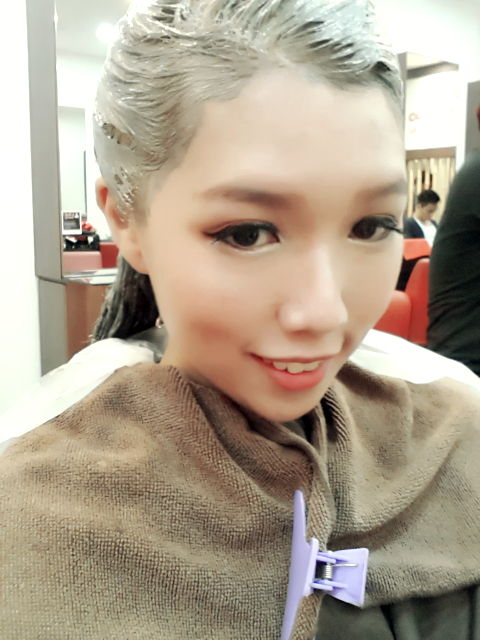 After such a long time, I finally made my way down to I*CON Shunji Matsuo by Lily Xu last week to save my super lifeless hair!! My purple ends had faded to like.... ash purple/pink with some silver streaks lol. Honestly... it was actually quite nice leh but it was just looking really lifeless and dry! 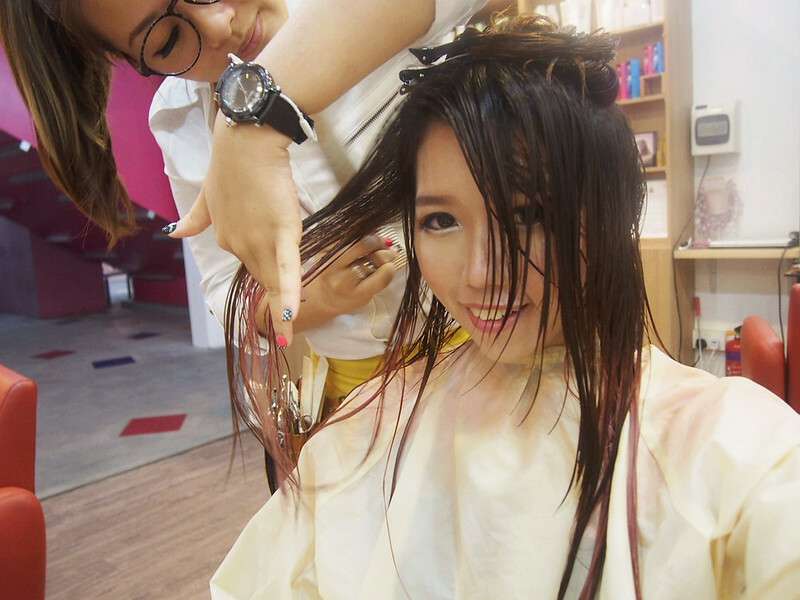 Upon arriving and meeting Lily herself for the first time (oh btw Lily is my hair stylist and she's uber awesome!! ), as usual there'll be a short consultation on what you'd like and sutff~ So I told Lily that I wanted a "Shibuya Girl" hair. LOL DAMN VAGUE IKR. But yea that was what I wanted!! Because when I was in Shibuya... more than half the time I was just like analysing the hair and colour of the girls there.. the girls there are all so pretty in Ash Brown/Ash Green kinda hair so I reeeaaallllyy wanted to try it out as well! Lily first trimmed away about one inch of my hair!! 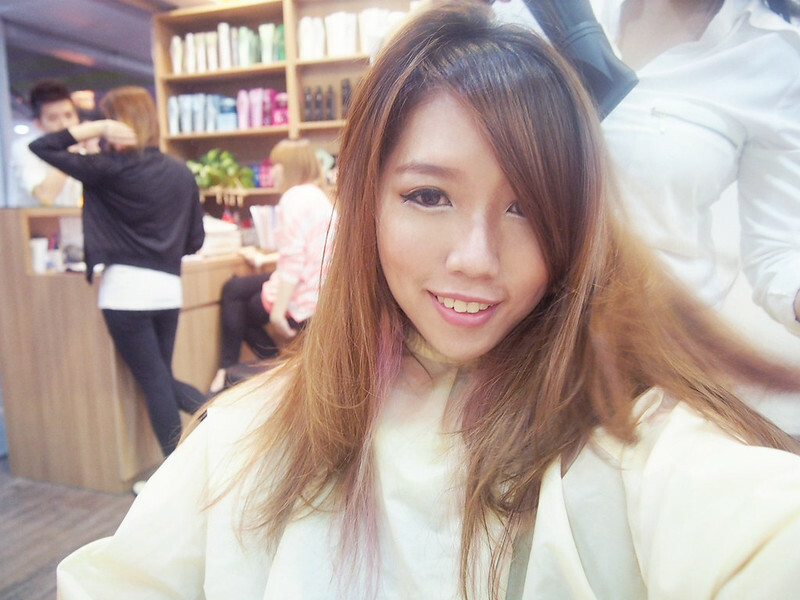 She also gave me more layers to lighten up my hair cuz my hair was too heavy! I've been cutting straight-cut for almost 2 years so it's been weighing down, causing the top of my hair to be very flat! Next step was to BLEACHHH. I have always tried to avoid bleaching as far as I can cuz I know this will ruin my hair big time... but for the sake of having ash colour... I SHALL. The only way to let ash colour.. or even purple/pink/red stay on longer is to bleach! Time to smack on the ash colour dye!! 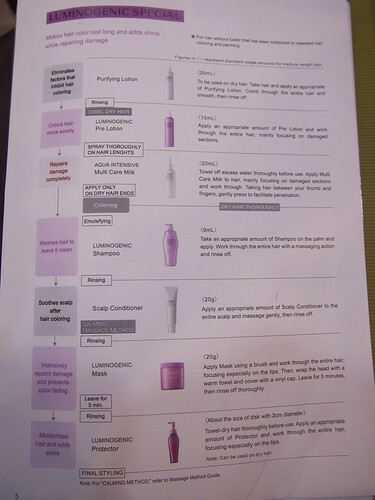 Anyway.. mine is not directly off from the dye chart! 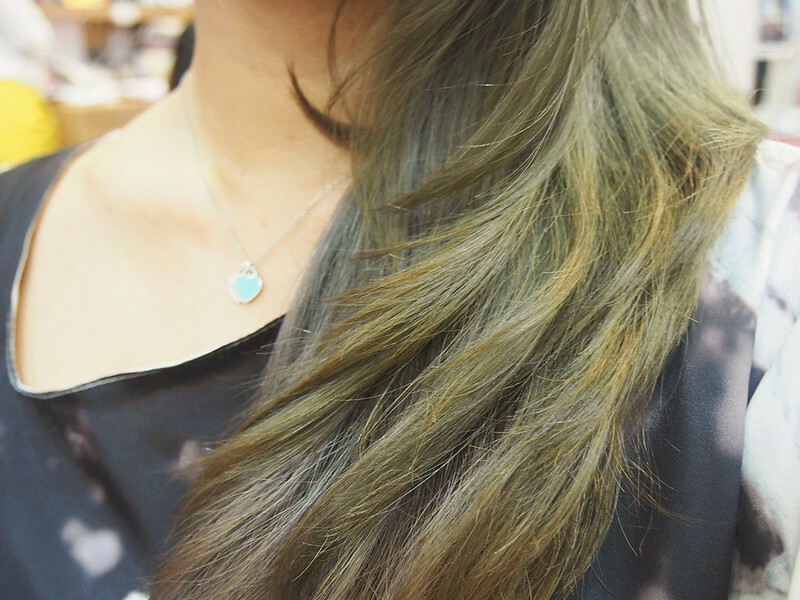 I told Lily I wanted something in between Ash Brown & Ash Green so she mixed it for me! I also did the LUMINOGENIC SPECIAL TREATMENT! 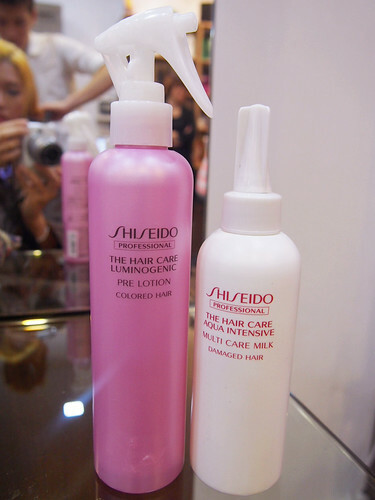 This treatment makes hair colour last longer and adds shine while repairing damange! Blowing dry!! Ahhh I can never ever blow my hair as beautifully as they do. Anyway a tip Lily taught me!! 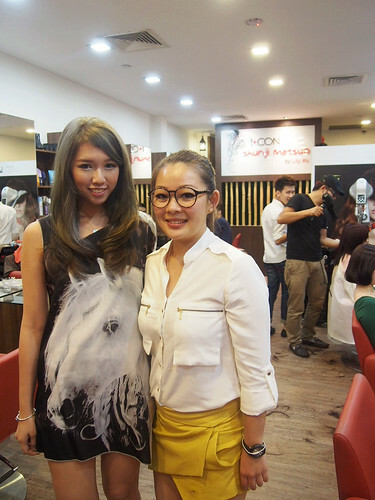 To create more volume for your hair, blow your hair in the opposite direction of your hair parting when it is WET. When it is about 3/4 dry.. flip it back to your original hair parting and continue blowing!! It really works because that's what she did on my hair. Lol. 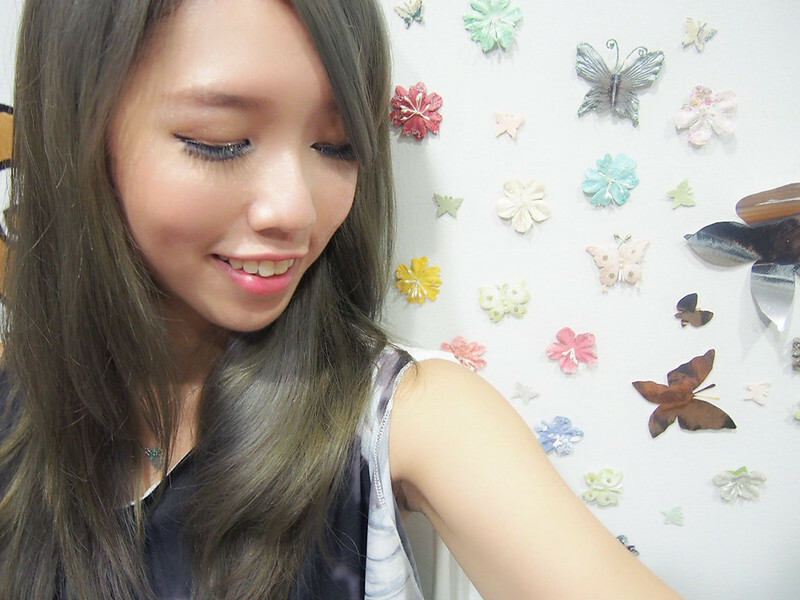 Gorgeous ash brown-green colour!!! Now I can pass off as a Shibuya girl as well! Bahahaha :D I just need to learn how to do the Japanese makeup! Thank you Lily!!! 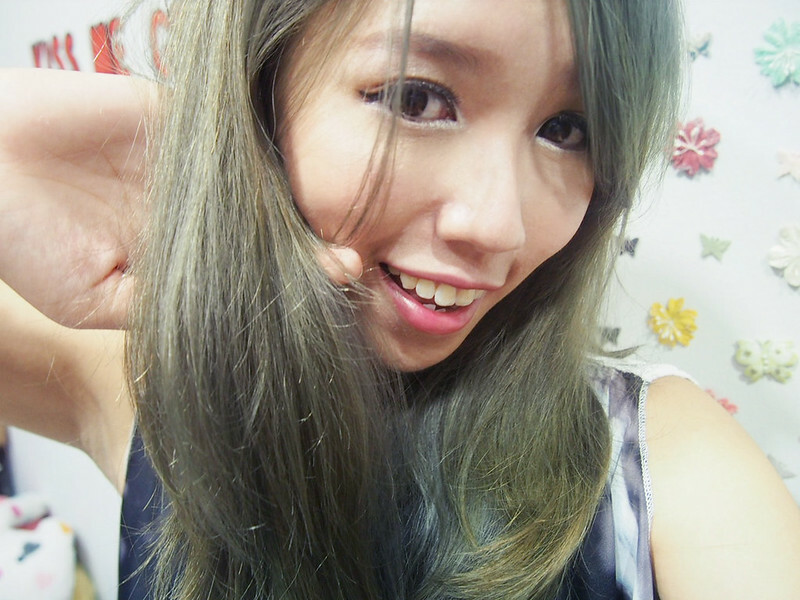 :D Check out how volumize my hair looks too!! And more pictures of myself and my hair! 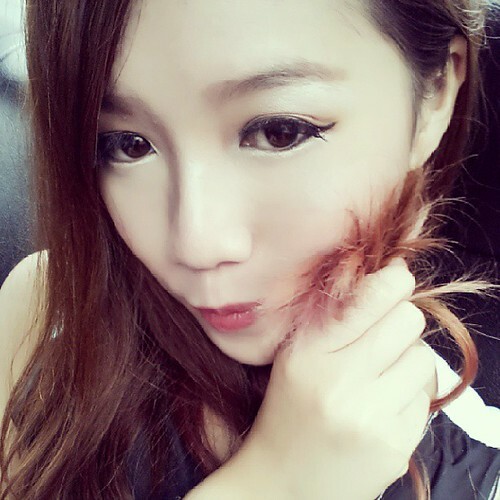 Really a hugeeee difference from the usual hair colour that I always go for. 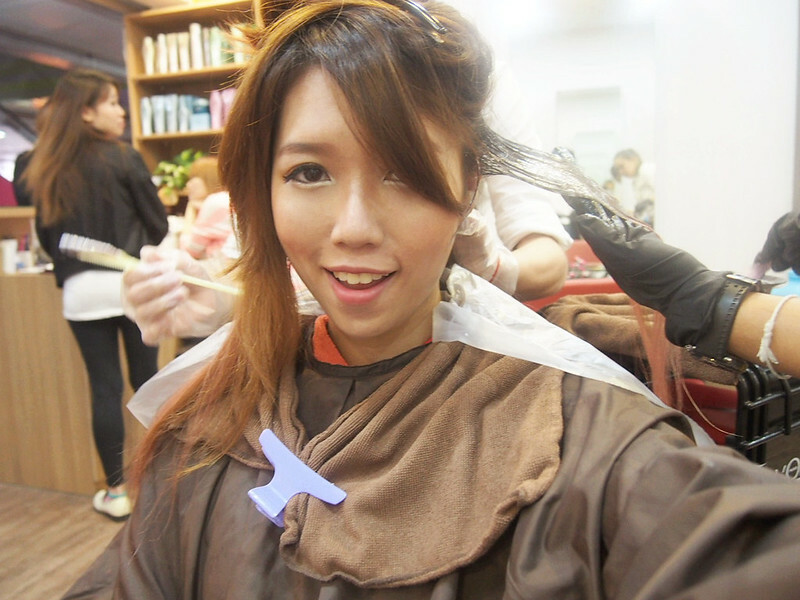 I tend to always dye Copper colour cuz I think copper suits me best. Dyeing purple ombre ends the other time was already a huge step out of my comfort zone for me, and I am glad I took it further in trying out even more new colours!! Thank you Shunji Matsuo and Lily Xu!! 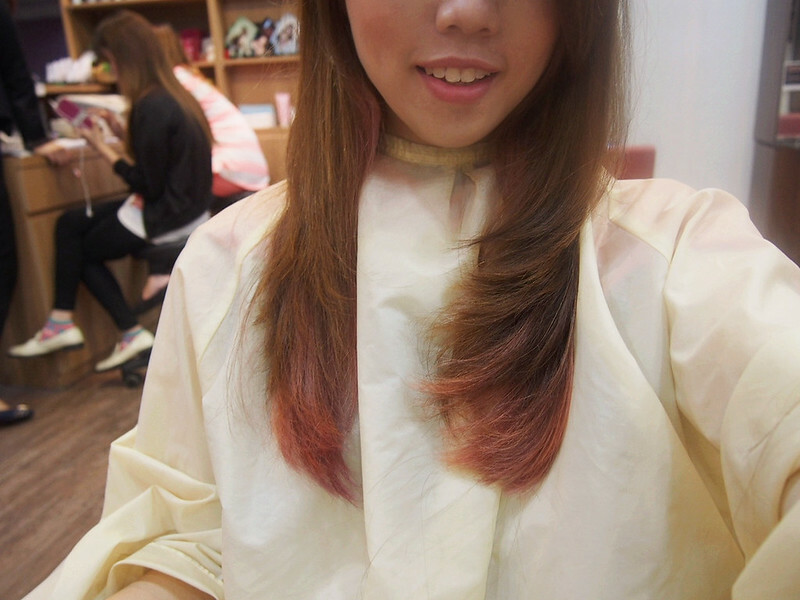 Quote "shennyyang" to get 10% discount off chemical treatments! There is also a 20% discount off all chemical treatments going on right now to celebrate its 2nd Year Anniversary!! Minimum 2 chemical services required. 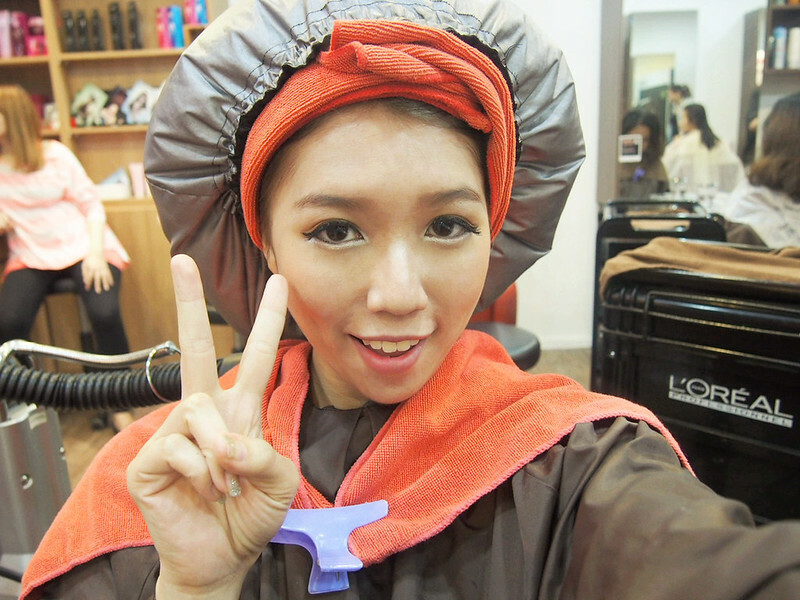 Promotion lasts till 31st August 2013!